Encik Shaari bin Haron was appointed to the Board of EPMB on 20 January 1997. He obtained his Bachelor of Law (Honours) Degree from the International Islamic University in 1991. He was admitted to the Bar in May 1993 and thereafter commenced his law practice in Kuala Lumpur. 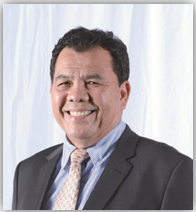 He has been in legal practice for 25 years and currently a consultant at Messrs Abu Bakar & Yong. In the corporate sector, Encik Shaari also sits on the board of Vertice Berhad (formerly known as Voir Holdings Berhad) as an independent director. Encik Shaari is also the Chairman of the Audit Committee, Nomination Committee and Remuneration Committee. He attended all five Board Meeting of the Company held during the financial year ended 31 December 2017.